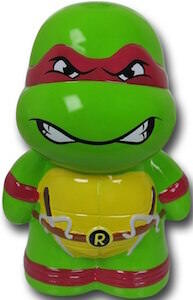 Now you can start saving some money in this Teenage Mutant Ninja Turtles piggy bank and the money will be save as it is guarded by a Ninja Turtle that looks more like a pig this time. 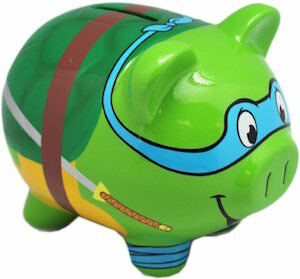 This is a ceramic money bank shaped like a pig and decorated like Leonardo from Teenage Mutant Ninja Turtles. 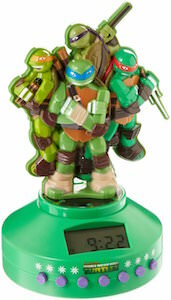 And of course the piggy bank has the blue face mask and even the two Ninjato swords that Leo uses. Just drop your coins and paper money in the top and Leonardo will guard it with his life and it will be there when you really need it most.